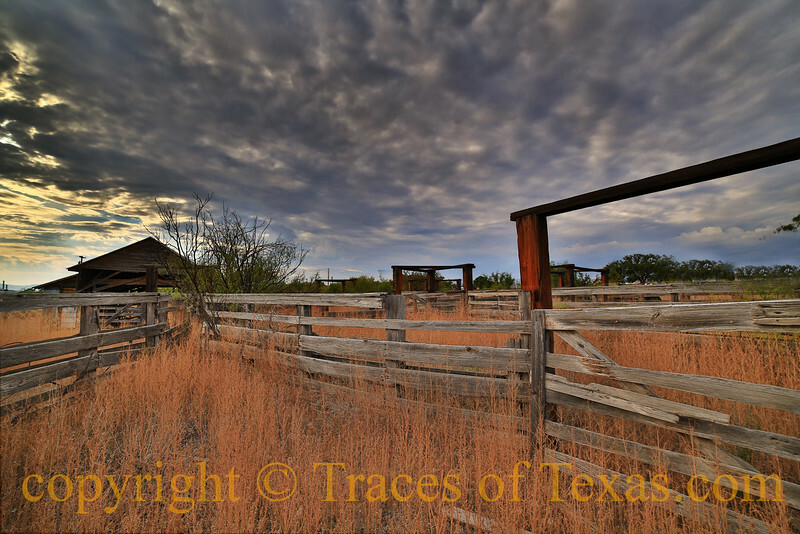 The abandoned cattle pens in Marathon were built in 1919-1920. The train passes right behind the pens so they could load them up right there. That's the weigh house in the background, where they used to weigh them. I was lucky enough to catch it with some nice clouds overhead.